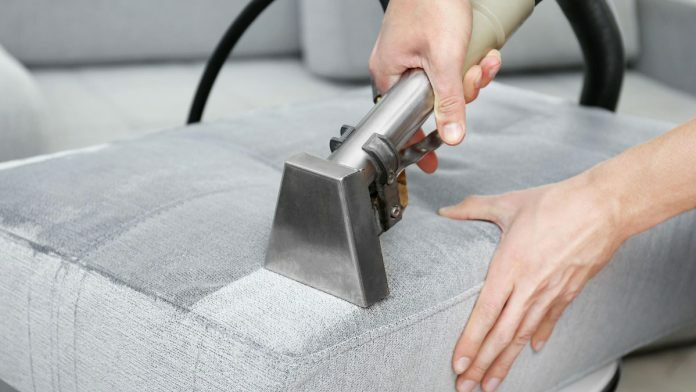 Our upholstery cleaning services include both pre-spraying and stain pre-treatment to ensure that even the toughest stains are removed in their entirety. We follow that up with a hot water extraction that completely rinses your upholstery so that no residue is left behind. We also use a low moister foaming method of cleaning which attacks the oils left behind on your upholstery. We’re proud to say that we at Grime Busters use methods that have worked time and time again. 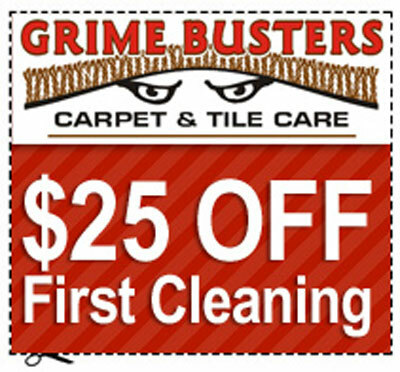 Many of the method we use in our upholstery cleaning services are similar to steam clean carpets at a lower temperature and gets you the same sparkling clean end results that we at Grime Busters are looking for our customers. Our first step towards making your upholstered furniture look as best as possible and do a thorough inspection. We look for any problem areas or stains that may be tougher to get out. If we find any of these areas, we treat them accordingly so that they will come out easily with the rest of our process. We always let our customers know of any potential problems. We at Grime Busters want to hear from you our customers of what your concerns are as well. The second step would be to vacuum the upholstery to remove everyday soiling and dirt when needed. The third step in our method is to pre-condition your furniture with an emulsifier or encapsulate which will loosen up soils and stains contained within the fabric. Step fourth is to use a clean with soft water (low moister) and to remove solutions we used previously in the upholstery cleaning, as well as anything else that might be contained within the fabric of your furniture. Things like dirt, oils, pet dander, and all other allergens will be gently removed from your fabric and padding so that it is left feeling soft and smelling fresh. The process we use in our upholstery cleaning Grime Busters does not over wet the fabric. In fact, once we have finished, the upholstery is only damp to the touch. Once we have finish cleaning your furniture, we can also apply scotchgard if you so desire. This will help to protect the fabric from future soils and stains, as well as extend the life of your furniture. In the long run, scotchgarding can actually end up saving you money with the protection it affords your furniture. For clean, fresh smelling, protected furniture, give us a call today at 203-785-0085. We look forward to offering you a free estimate and getting to work making your furniture look new again.